We have some worrisome breaking news about a beloved member of the Star Wars family. "Our sources say Carrie was on a flight from London to LAX when she went into cardiac arrest. People on board were administering CPR. We're told the emergency occurred 15 minutes before the plane landed in L.A. A flight attendant asked if there were any medical personnel on board and an EMT who was sitting in the back of the plane came up to first class and administered life-saving measures. The plane landed just after noon in L.A. and paramedics rushed her to a nearby hospital." As this story develops we will be sure to provide further updates! "United Airlines says its crew reported Carrie as "unresponsive" when they landed... Witnesses at LAX tell us Carrie's eyes were closed and she appeared unconscious as EMTs rushed her through the terminal. She had an oxygen mask on her face." 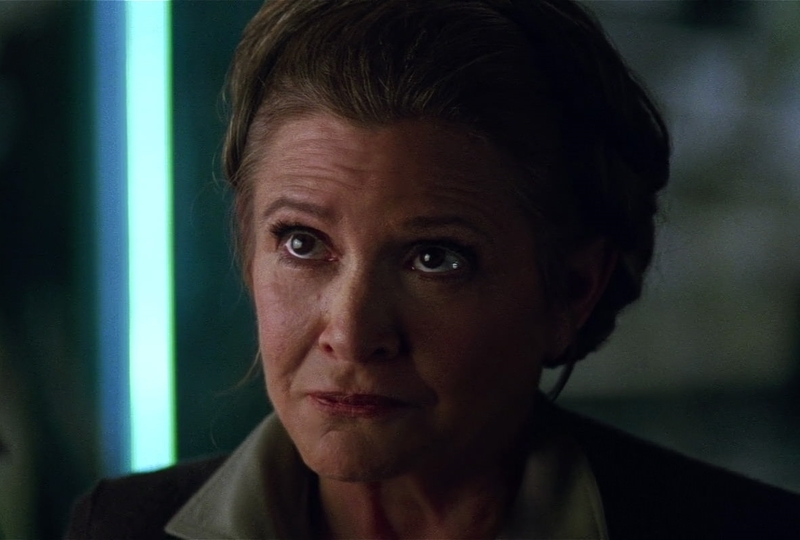 "2:46 PM PT -- We're told when the plane landed paramedics worked on Carrie for 15 minutes with CPR before they were able to get a pulse. She's currently at UCLA Medical Center on a ventilator." Update #2: Despite a report from the Associated Press suggesting that Carrie was in stable condition, Todd Fisher has since spoken with Variety and confirmed that she is not stable. You can read his statements by clicking here. All of us here at the SWU certainly send our thoughts and prayers to Carrie in hopes she will make a full recovery very soon! What's a heart attack to someone who took on Darth Vader? Hang in there Carrie stay strong.